Apart from summer, which is the most typical period of the year to go on holiday to Spain, spring is a wonderful time to visit Spain. Temperatures comparable to the ones in summer of Northern Europe, lovely orange blossom smells and lots of terraces to try a first “tinto de verano”, what more do you need? So, go ahead and book your last minute flight to Valencia, the city of the America’s Cup. To stay there you can easily rent a holiday home on the Internet. So, without any need to go to a travel agency, you can book it all at home using the computer. Once you’re in Spain, just enjoy! You have a garden but don’t need to work in it. You can swim in a pool that someone else maintains for you. Self catering holidays are like being at home but better as there is less work to be done. It is much cheaper to rent a holiday home than going on a hotel, especially when the group is large or if you are traveling with children. Children love it too, as they don’t have to be “quiet” to not disturb the other hotel guests and can simply enjoy playing in the garden, terrace, beach and sleep in their own room. Depending who you are traveling with, will influence your destination. Going on holiday with children will make you decide for a home with a swimming pool or near the beach, restaurants, water parks, etc where they can have fun and not be bored. If you are tired of the stressful life of the city, you will prefer a calm and rural cottage in the inland of Spain. The typical white Spanish villages offer some wonderful country homes to relax in. Best places to look for these are the inland of Malaga, Cordoba and Granada, with villages as Competa, Comares, Iznajar and Alpujarras de la Sierra. If on the other hand you are traveling with some friends, you might want to get to know some Spanish culture and visit Barcelona, one of the trendiest cities of Spain, or Seville, the romantic capital of Andalucia. To enjoy a nice holiday, it is important that you decide together with the ones you are traveling, which accommodation you need for the type of holiday you are going to have. Once this is decided, you can start looking for the perfect location and holiday home. Author Helena De Vlieger. 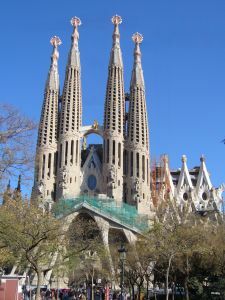 To learn more about self catering vacation rentals in Spain and tourist information of the areas, visit http://www.spain-holiday.com where you will also find a wide selection of holiday homes all over Spain.